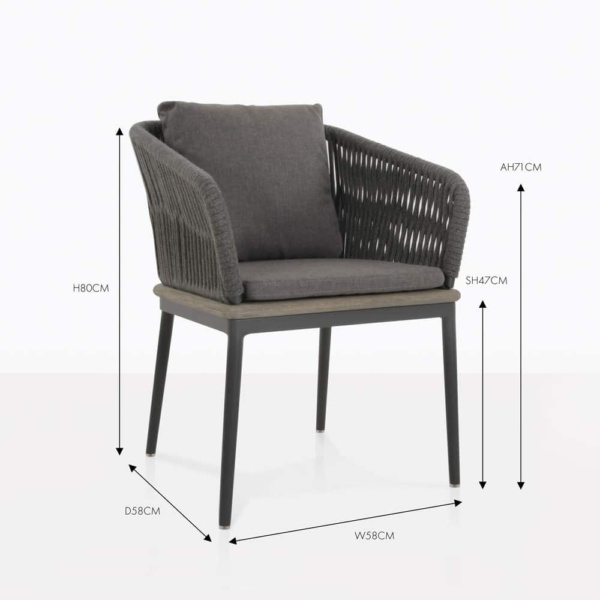 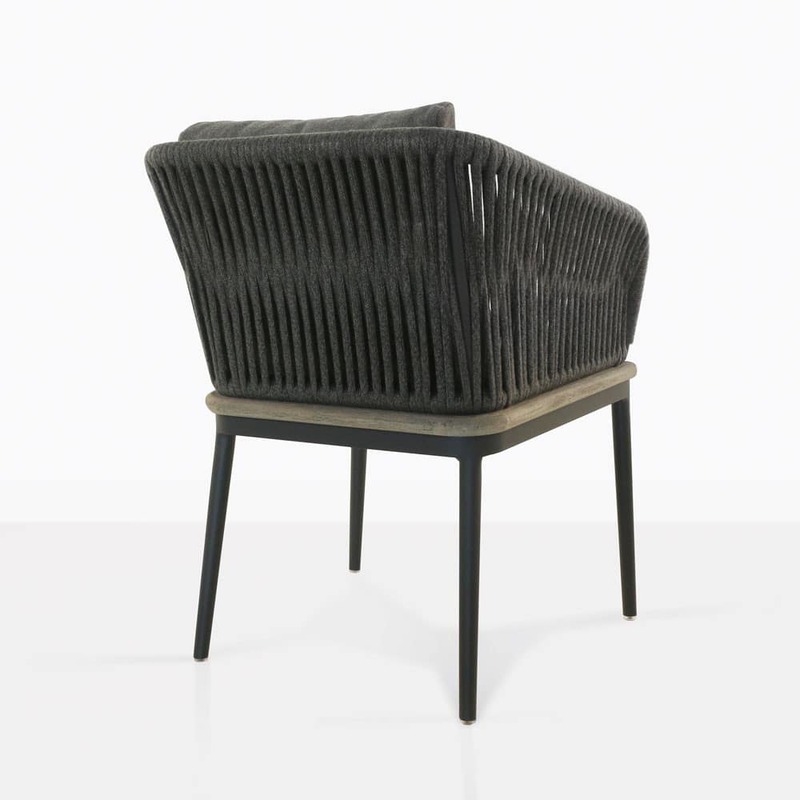 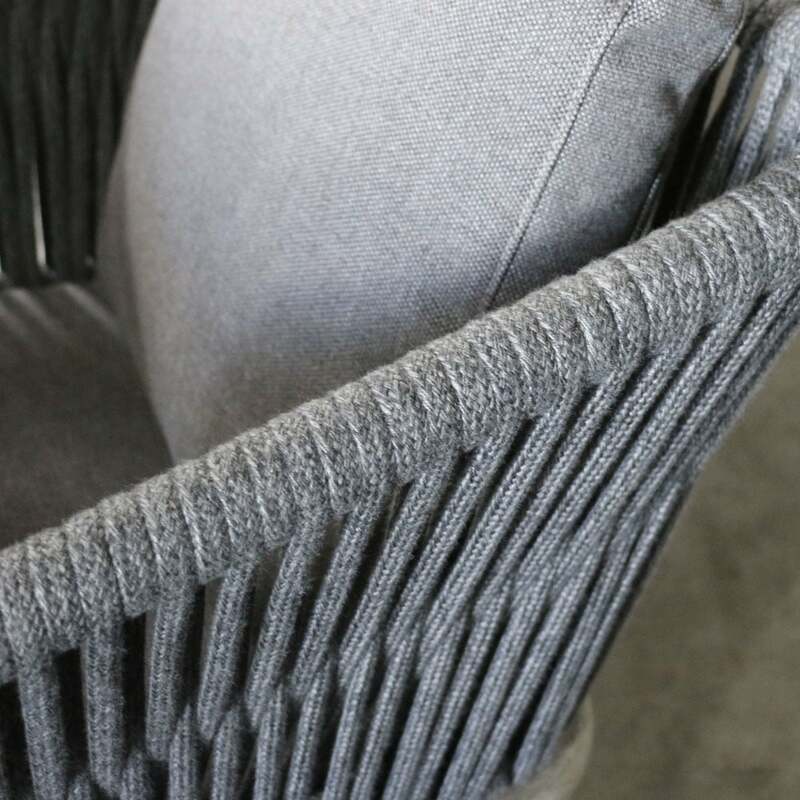 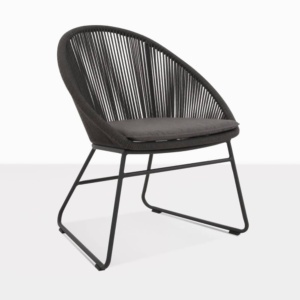 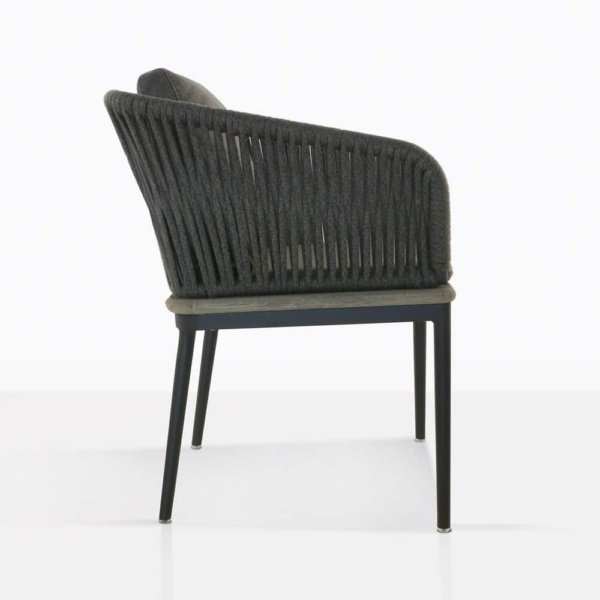 This unique dining chair combines high tech rope, teak, powder coated aluminum and Sunbrella® cushions, these premium materials work beautifully together to form the Oasis Outdoor Dining Chair in Coal. The rope is expertly wrapped around the aluminum frame with stunning attention to detail. 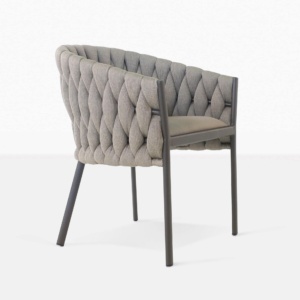 The teak wood around the seat adds just a bit of warmth and texture. 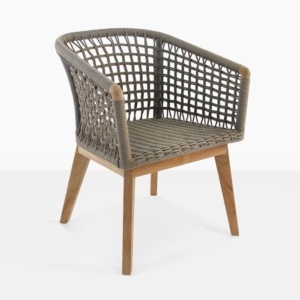 Design a wonderful outdoor seating area with a teak or concrete dining table and several Oasis Dining Chairs.